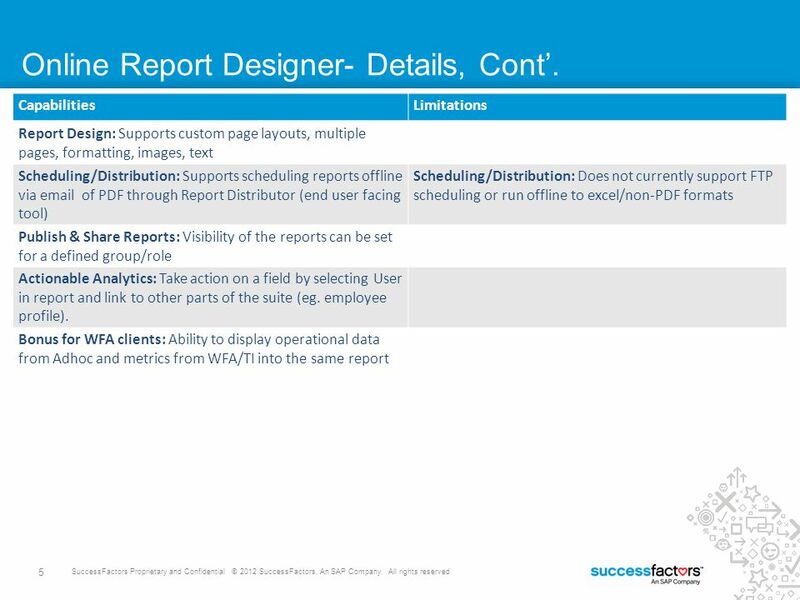 5 Online Report Designer- Details, Cont’. 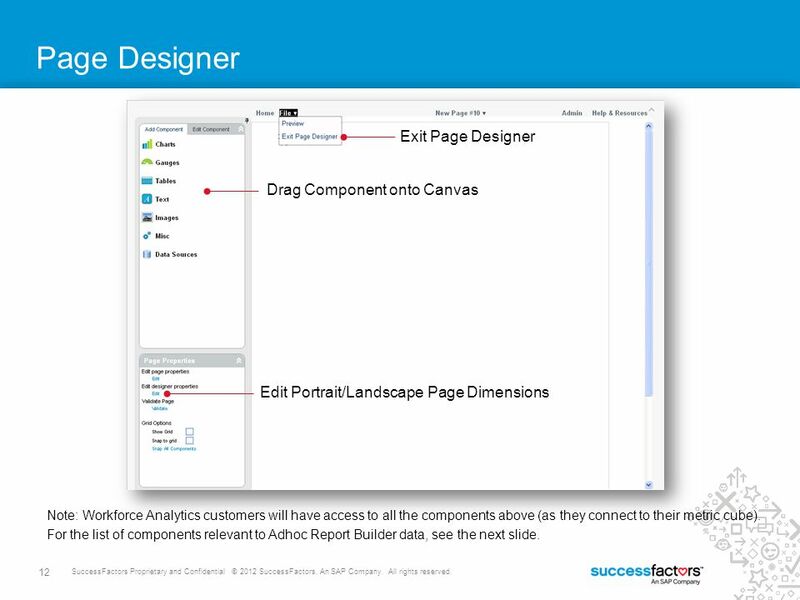 Edit Portrait/Landscape Page Dimensions Note: Workforce Analytics customers will have access to all the components above (as they connect to their metric cube). 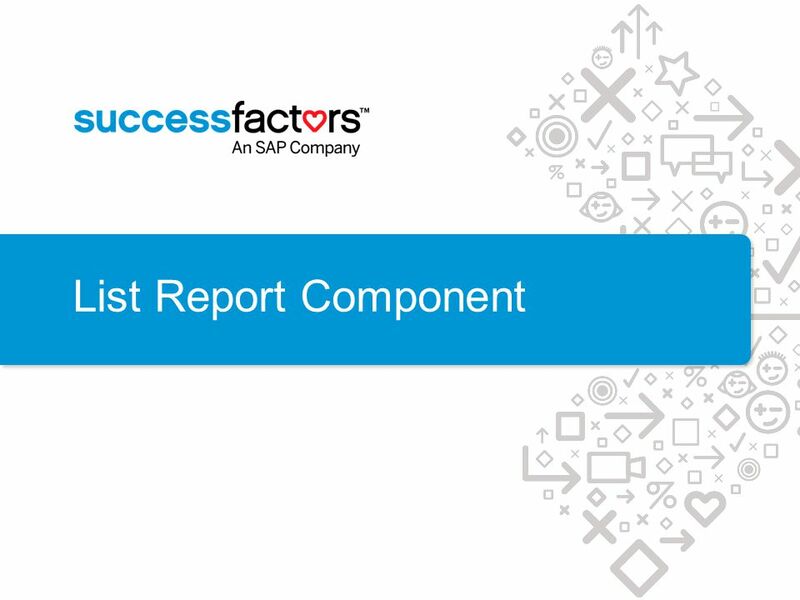 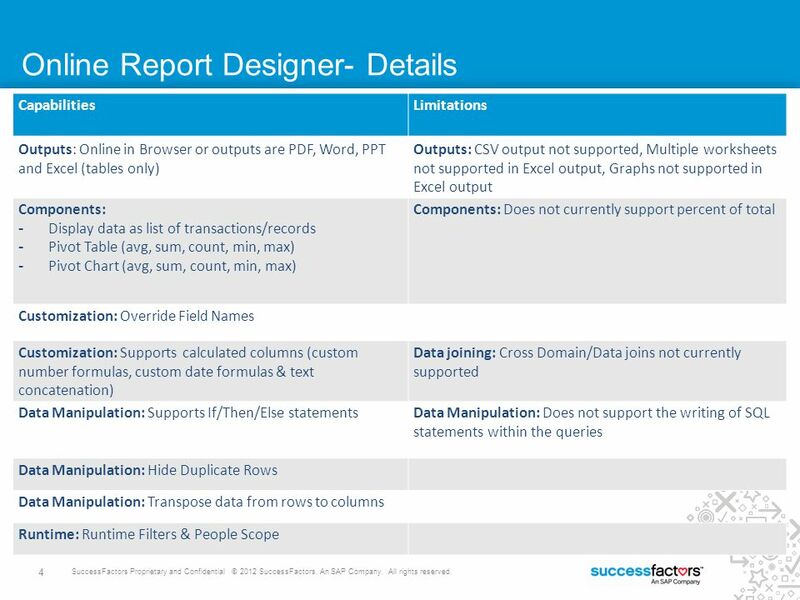 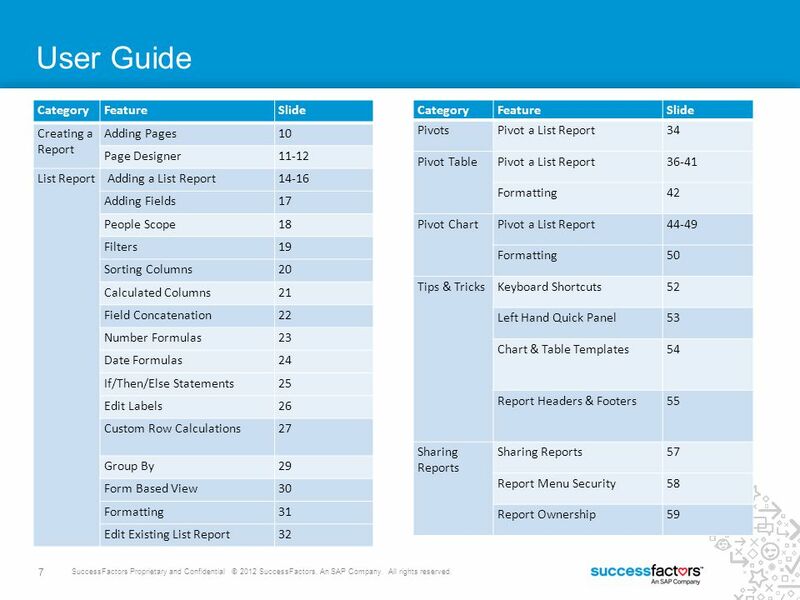 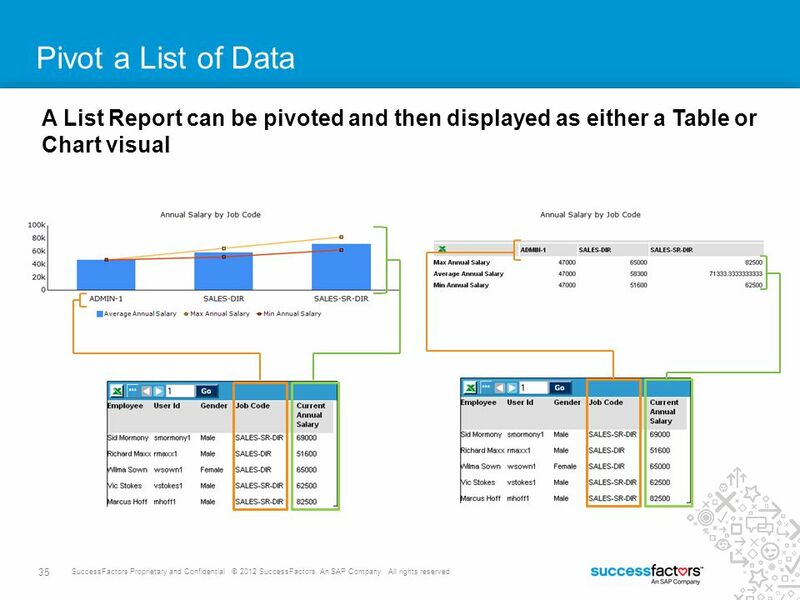 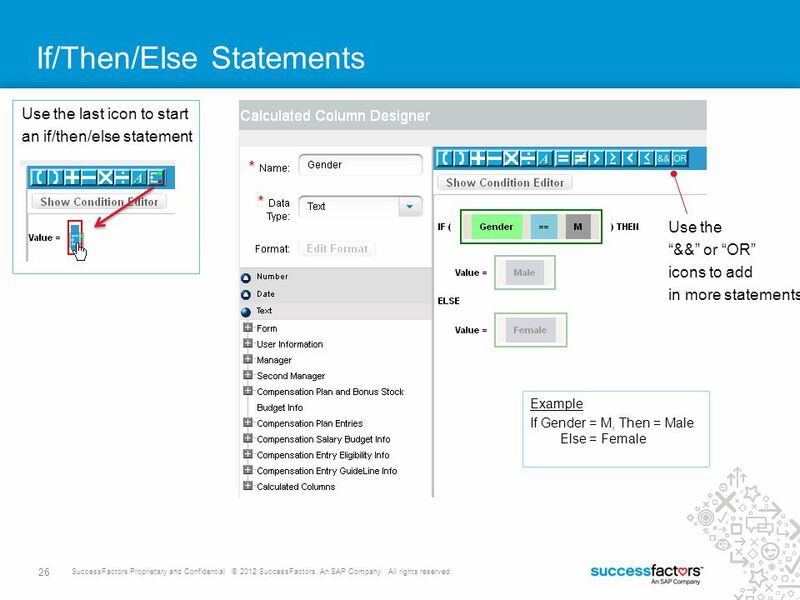 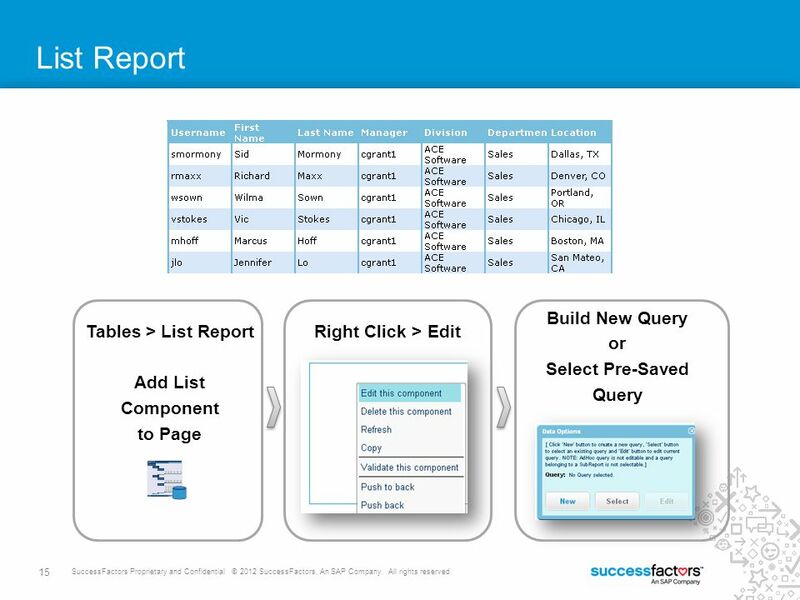 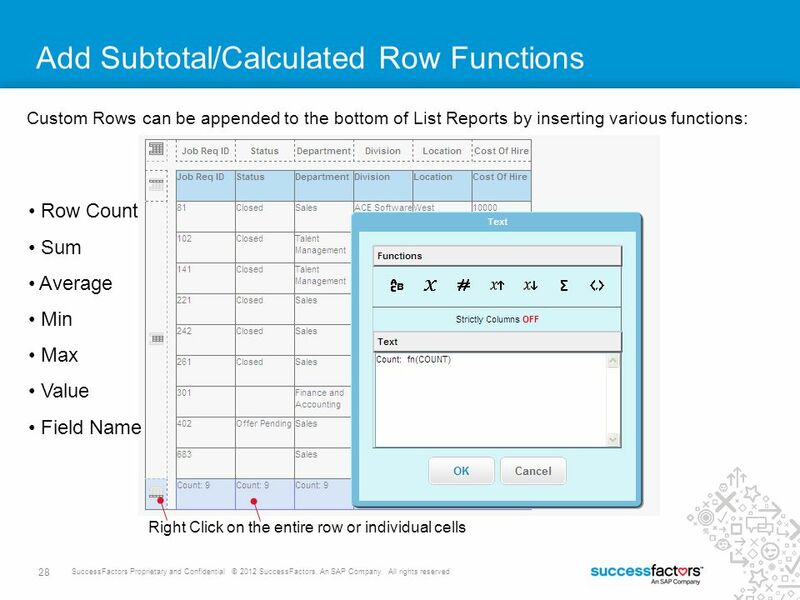 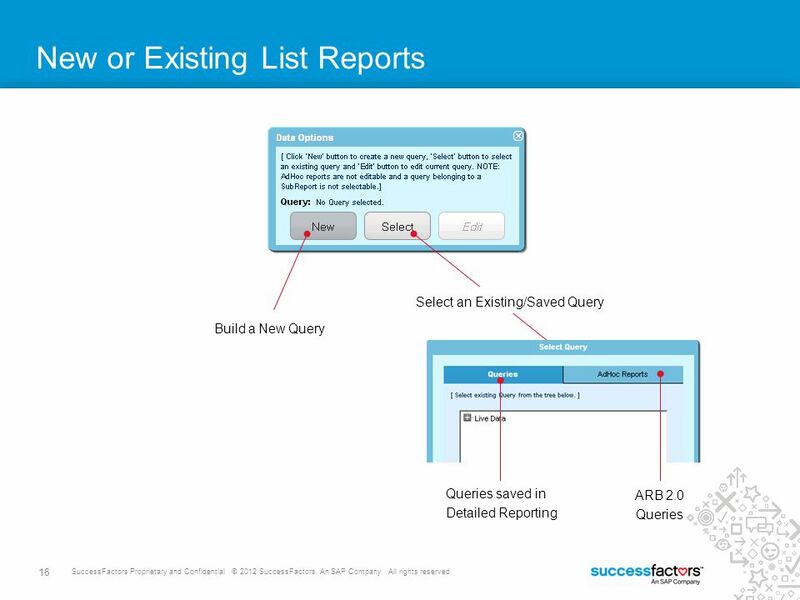 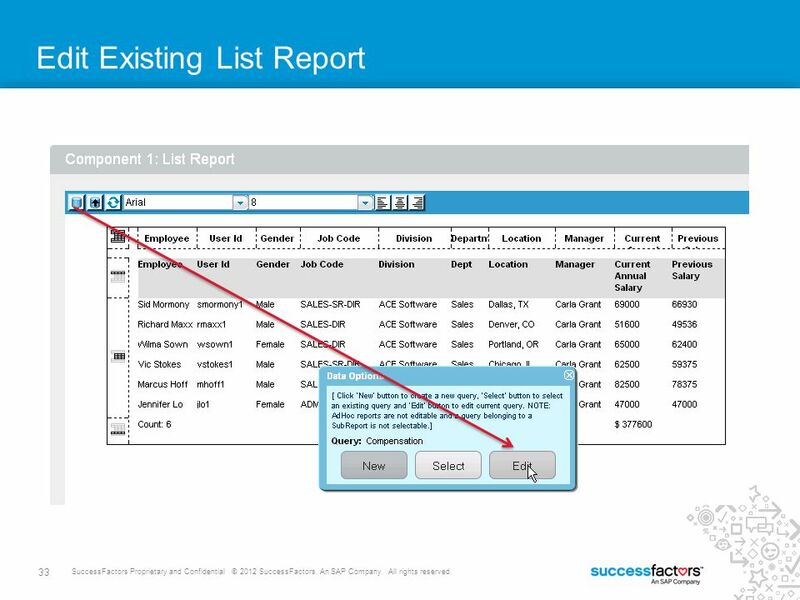 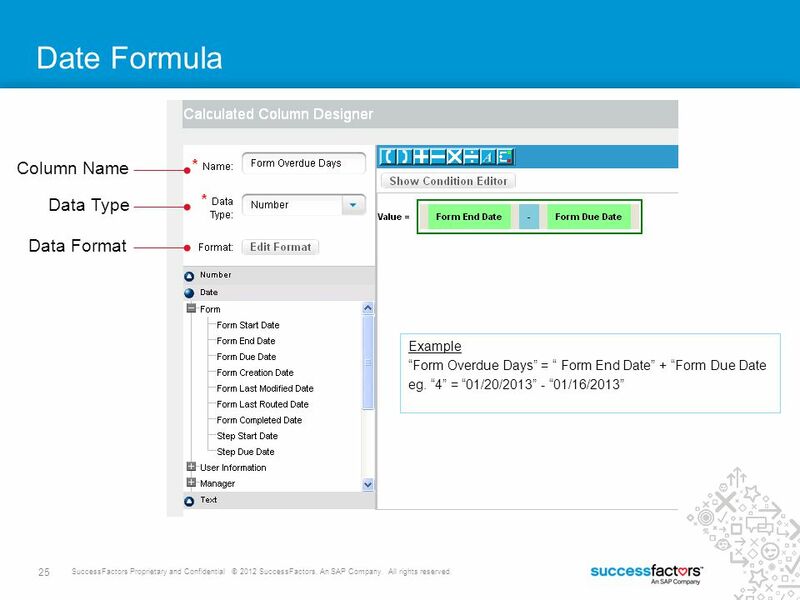 For the list of components relevant to Adhoc Report Builder data, see the next slide. 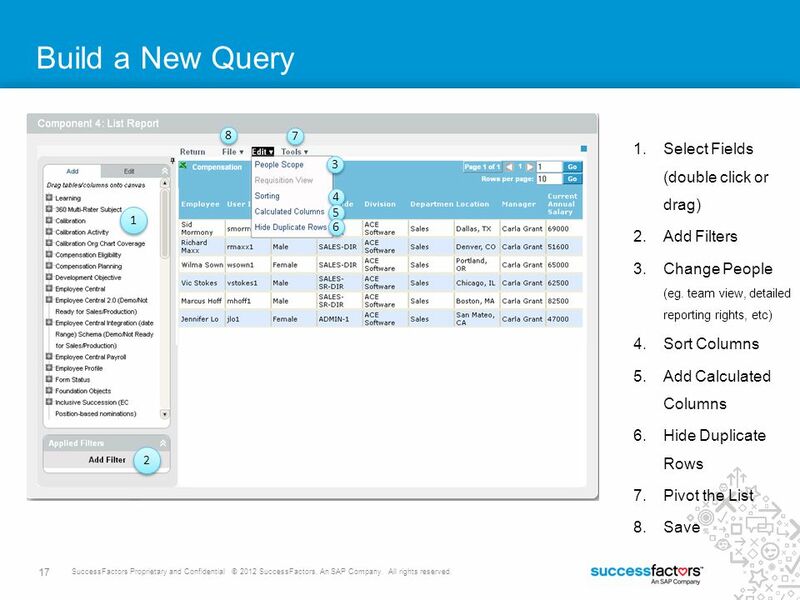 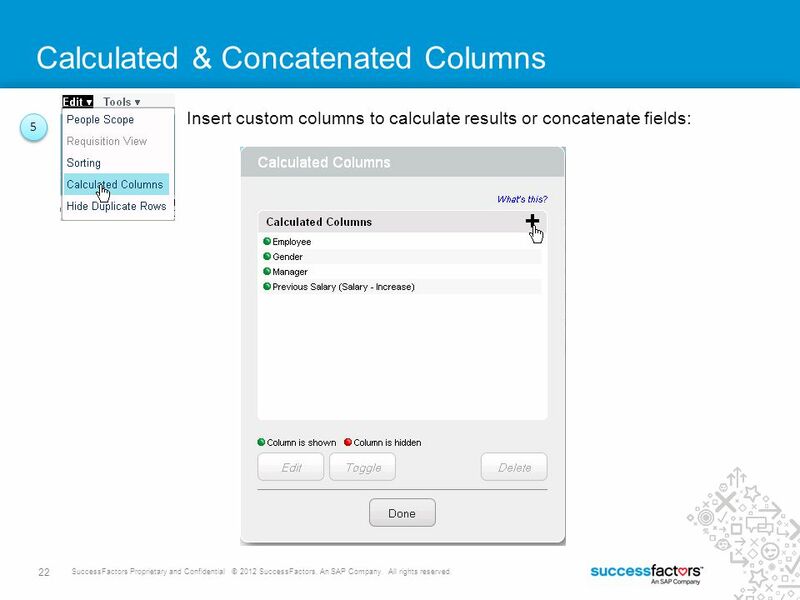 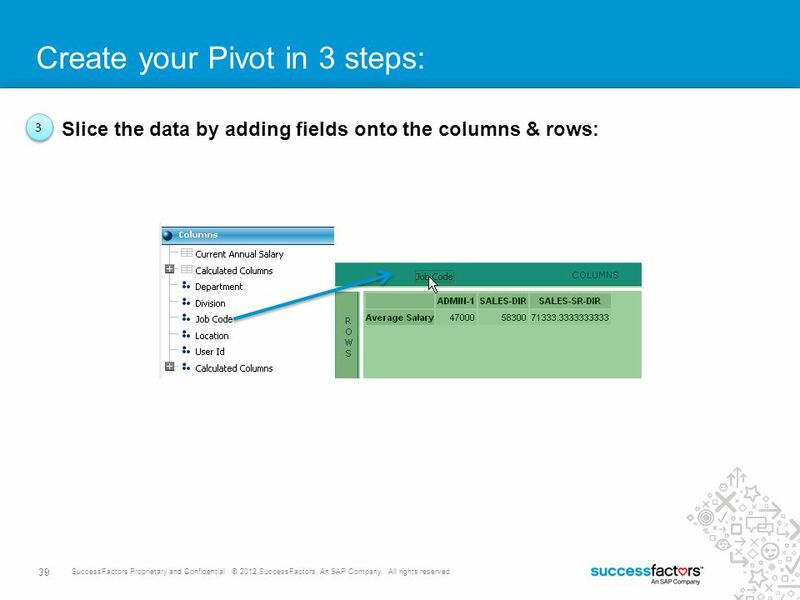 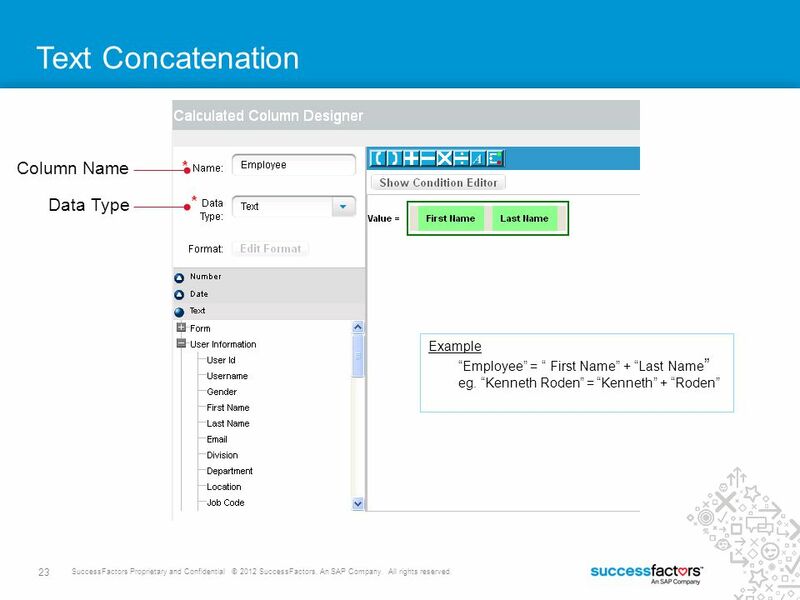 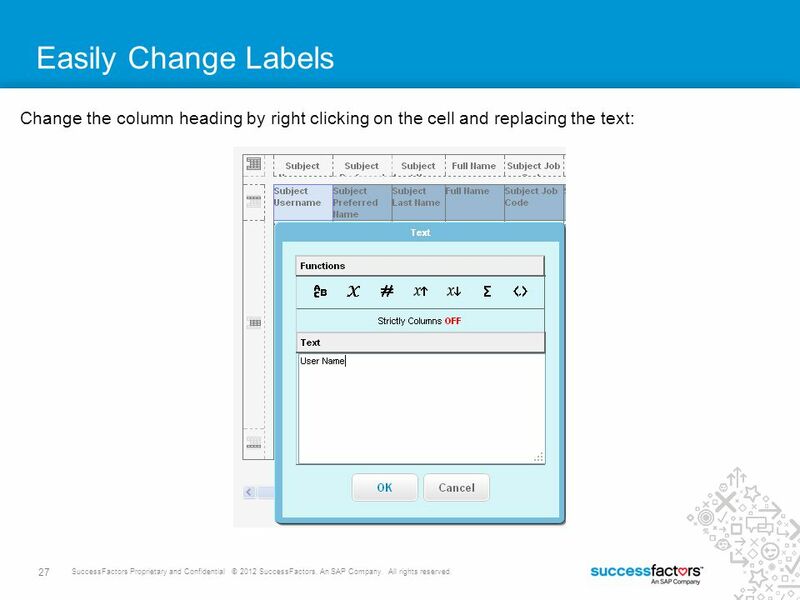 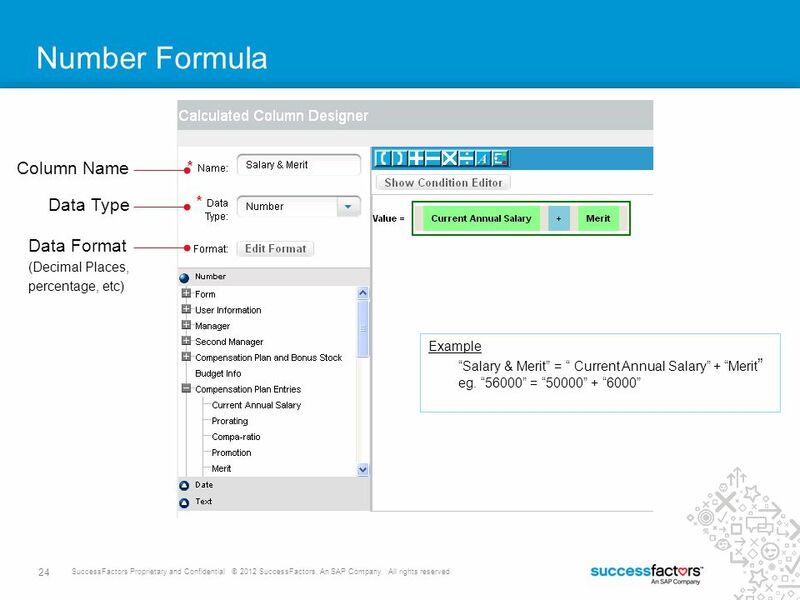 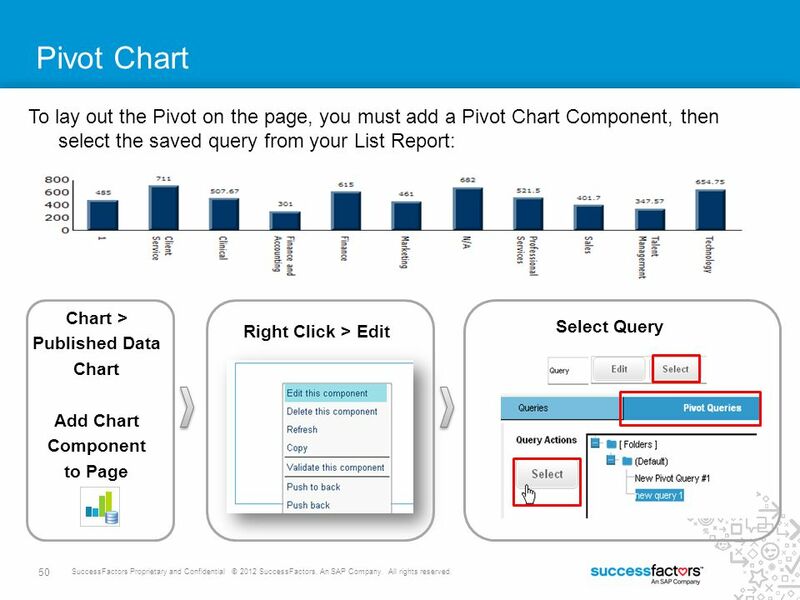 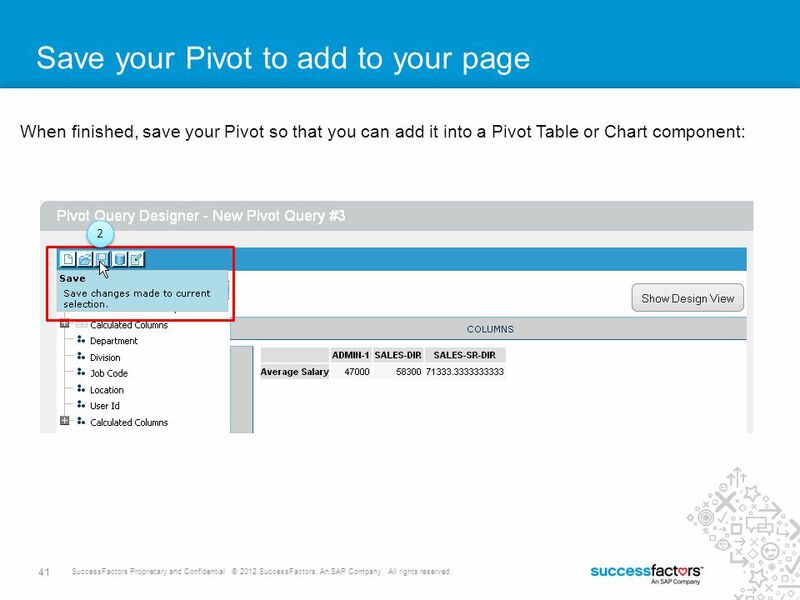 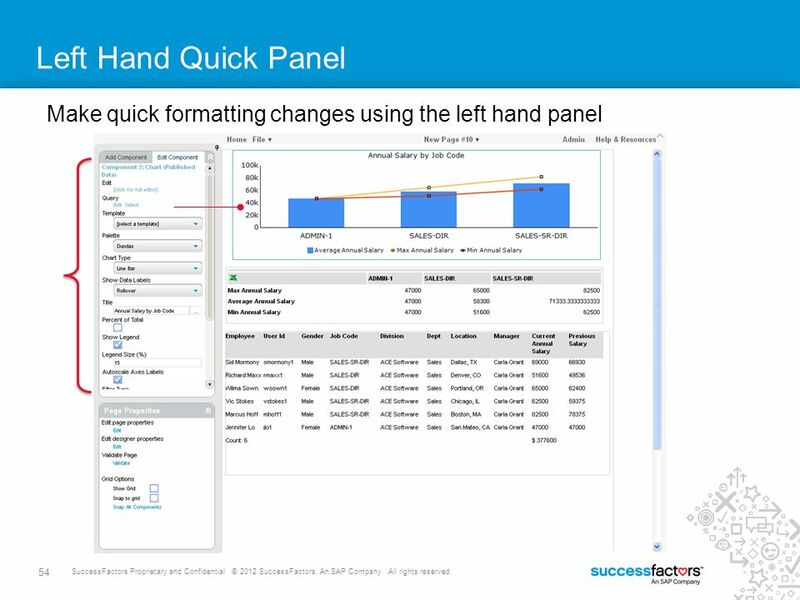 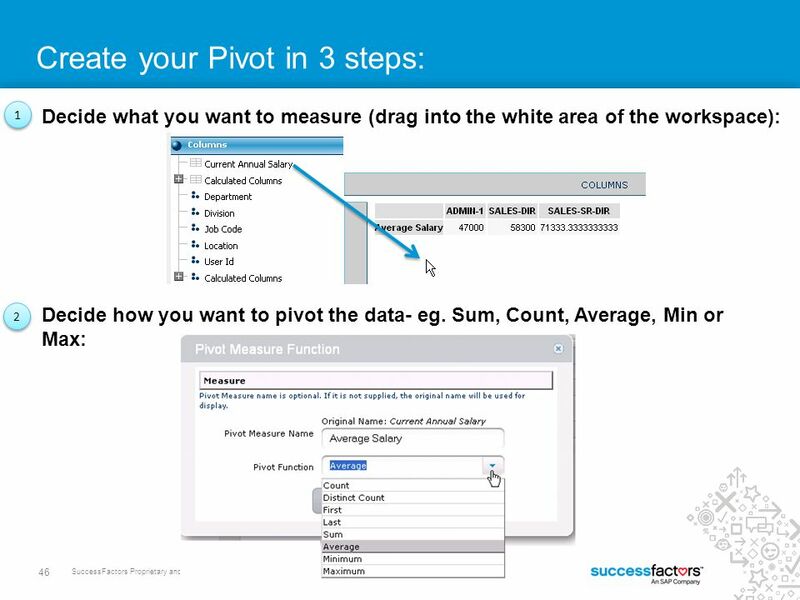 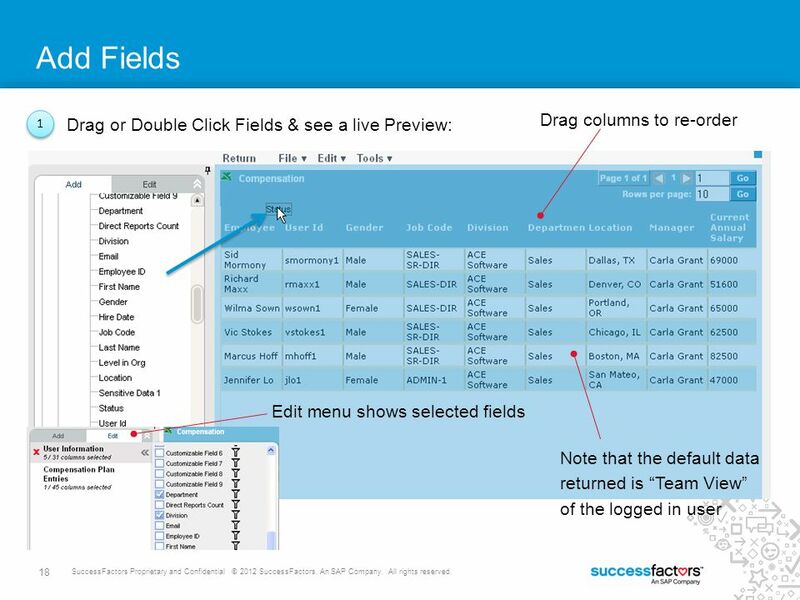 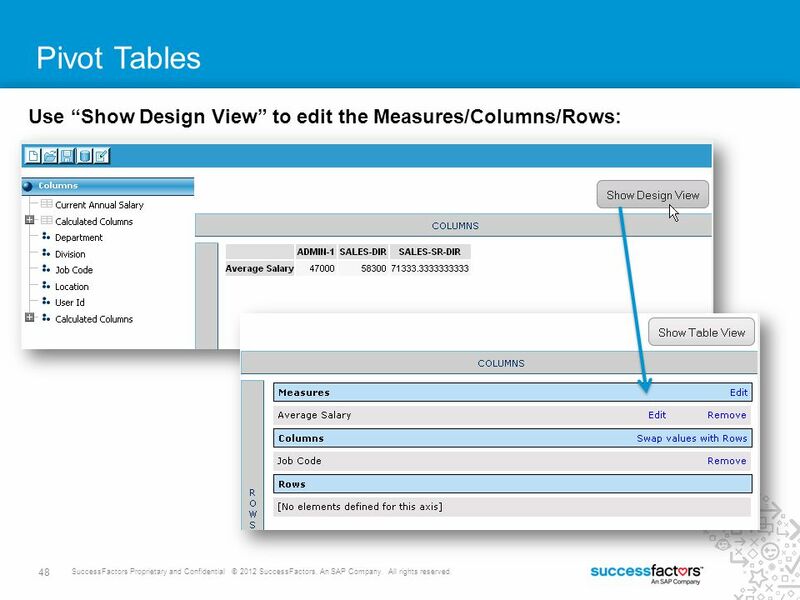 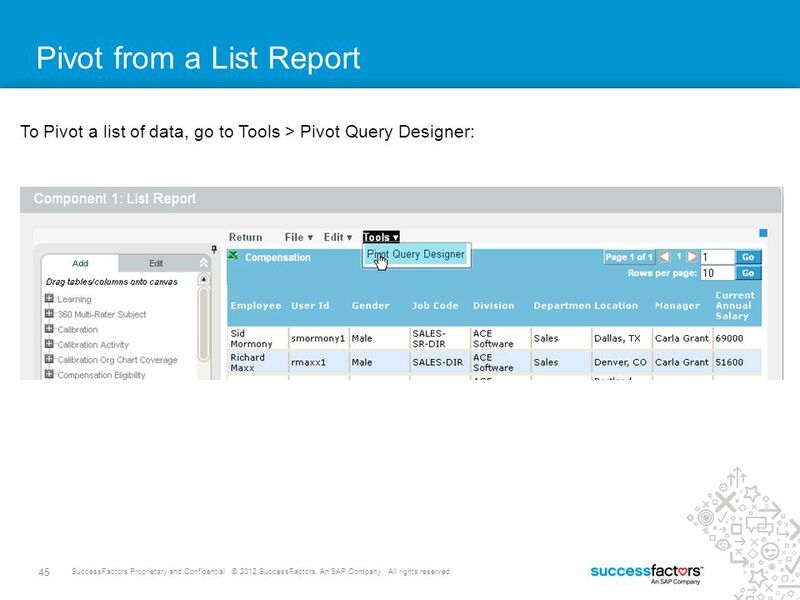 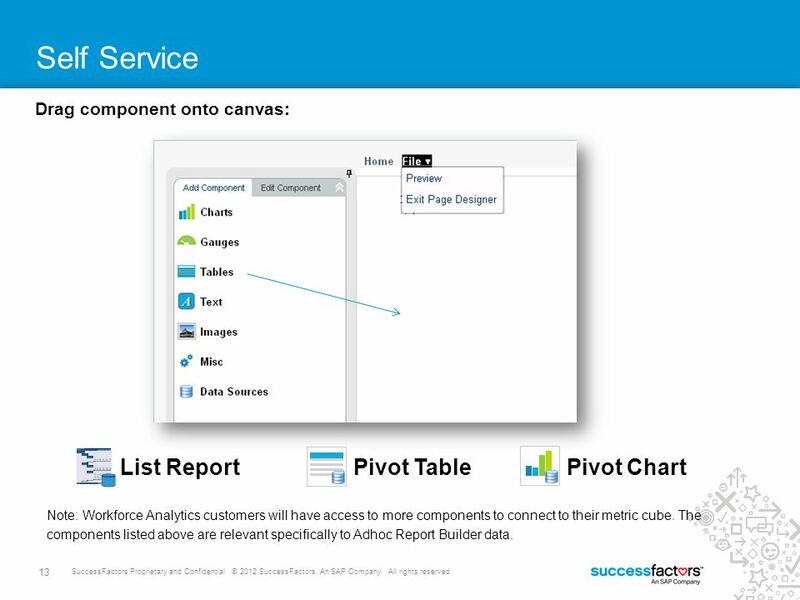 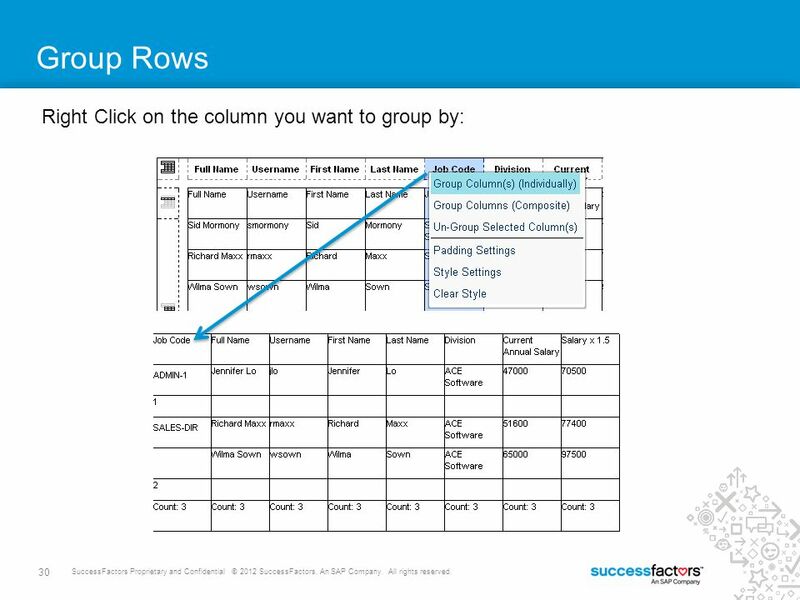 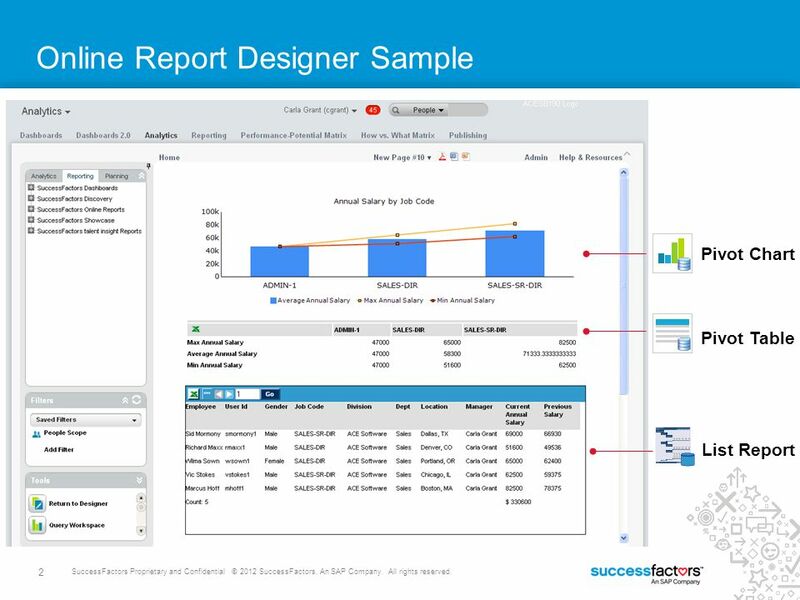 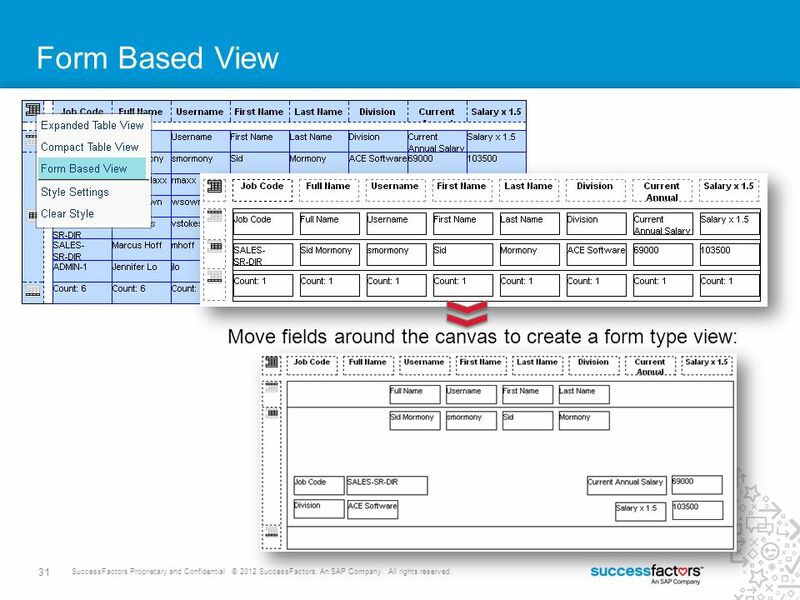 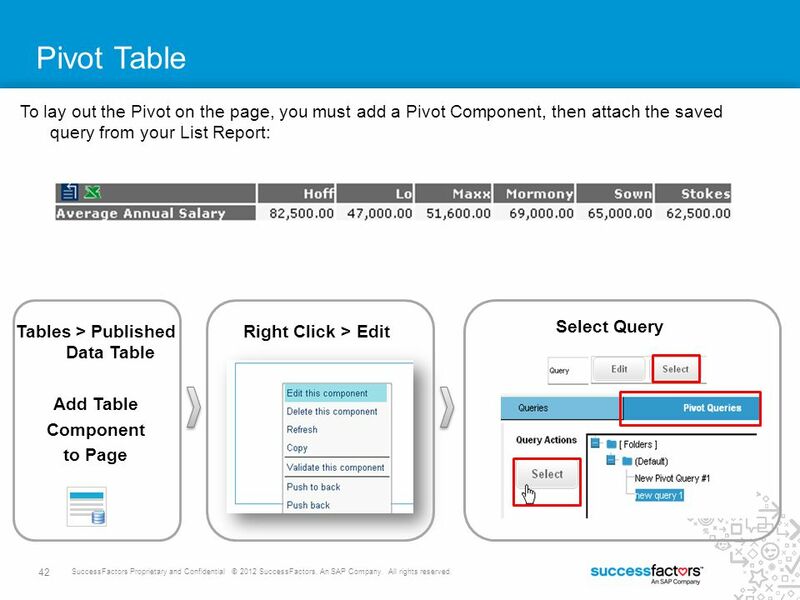 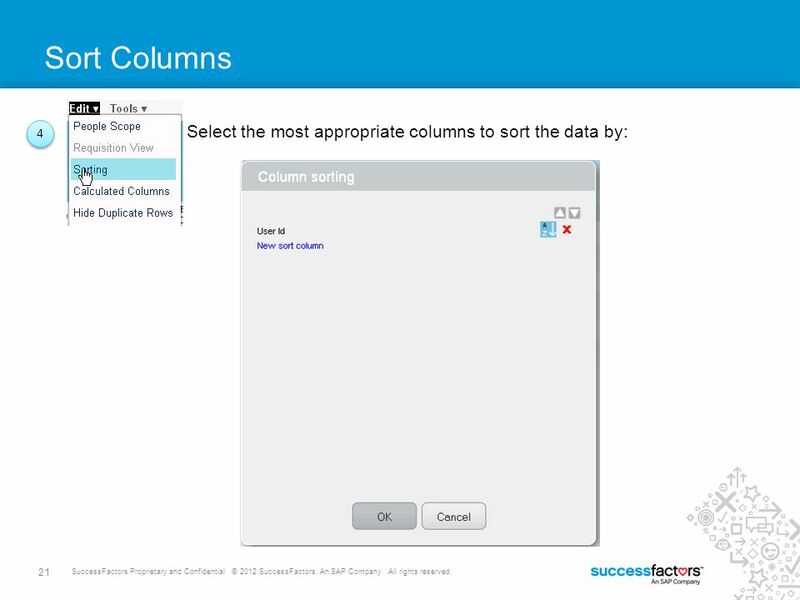 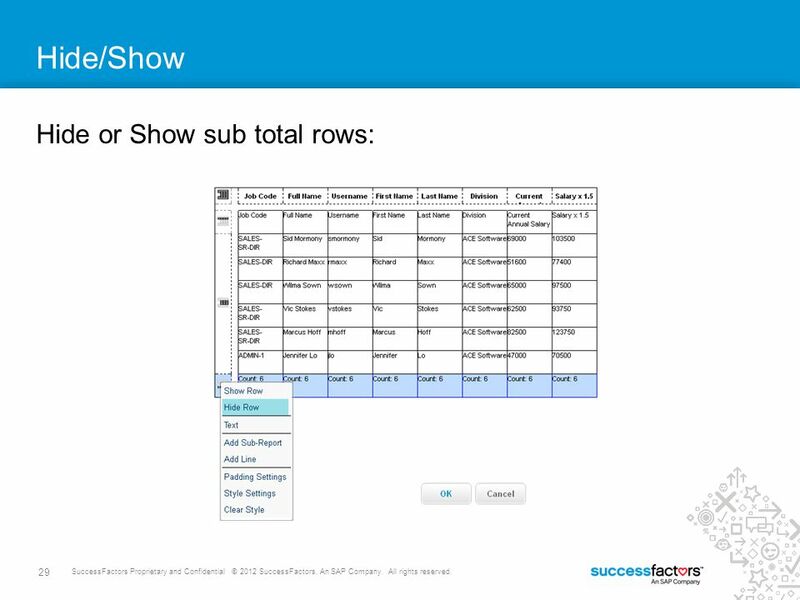 Drag component onto canvas: List Report Pivot Table Pivot Chart Note: Workforce Analytics customers will have access to more components to connect to their metric cube. 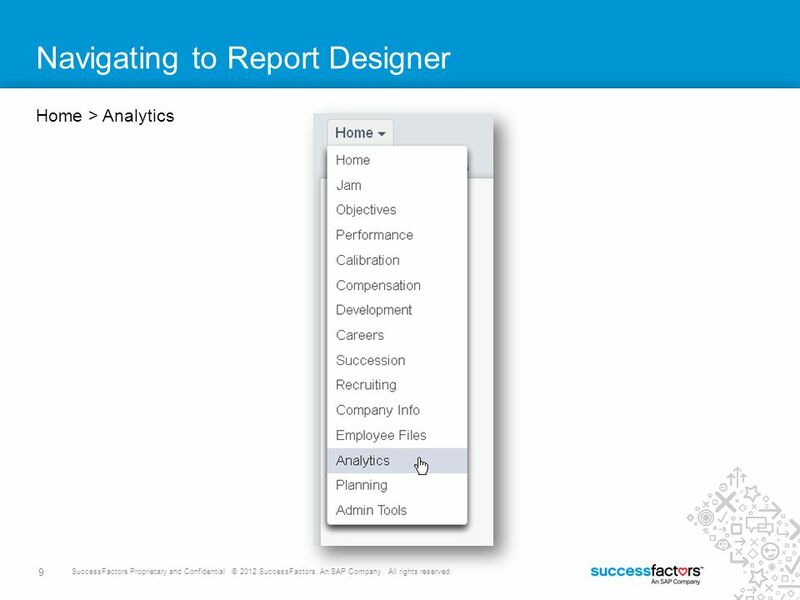 The components listed above are relevant specifically to Adhoc Report Builder data. 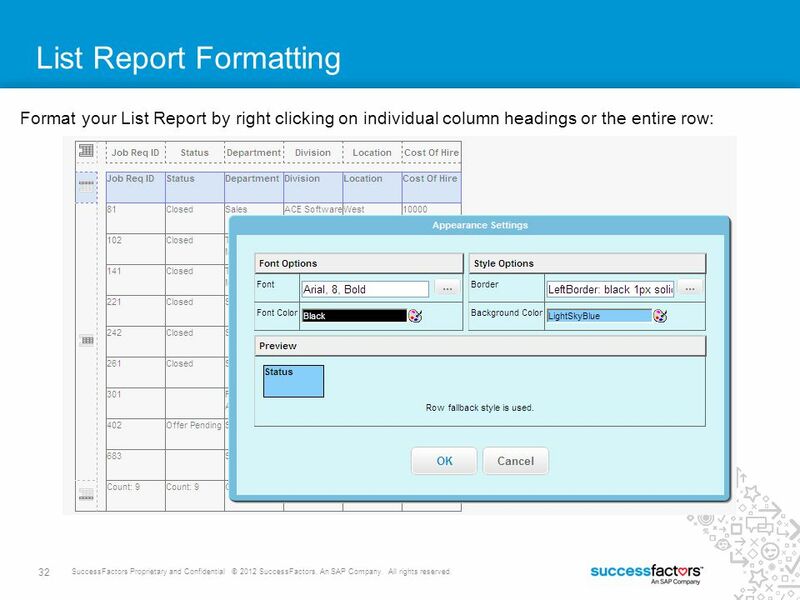 Right Click to Edit, Delete, Copy and Paste. 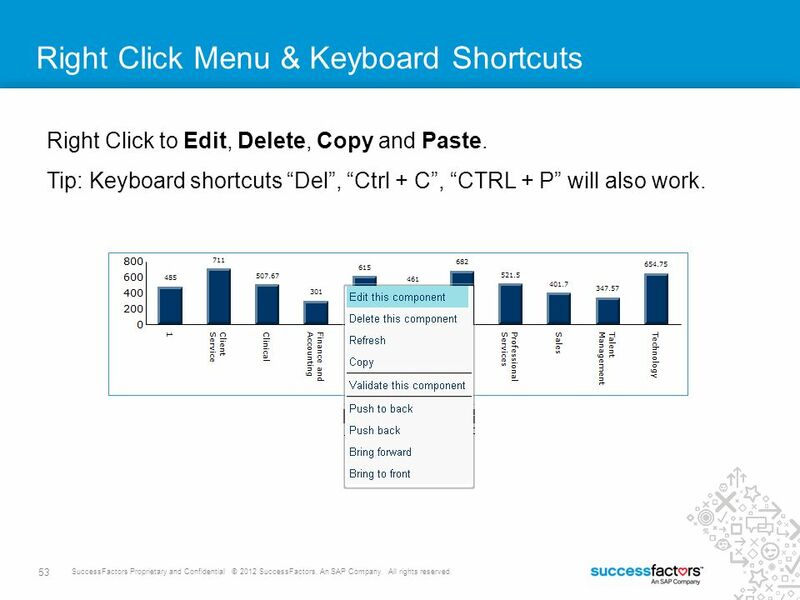 Tip: Keyboard shortcuts “Del”, “Ctrl + C”, “CTRL + P” will also work. 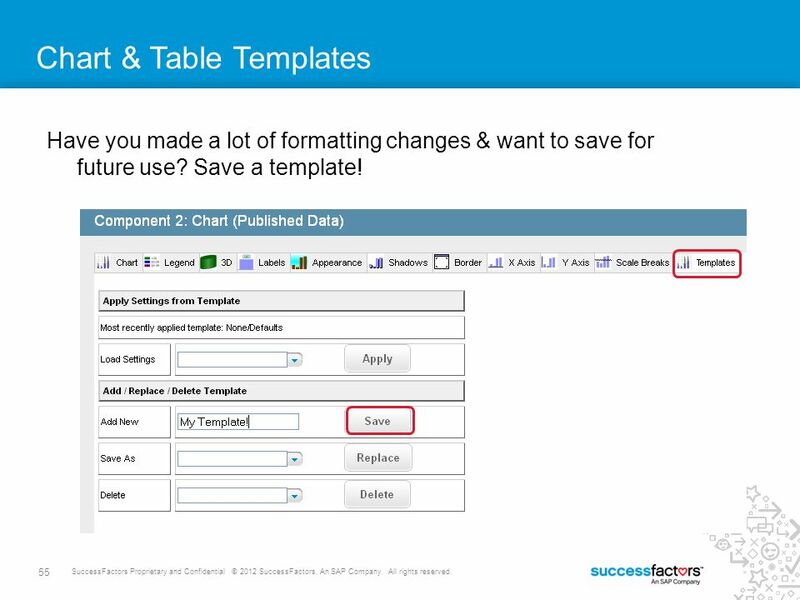 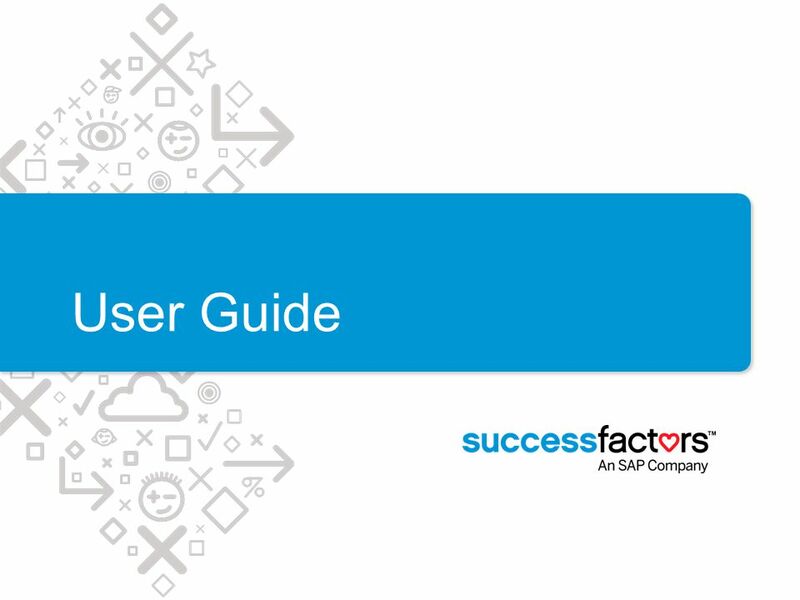 Have you made a lot of formatting changes & want to save for future use? 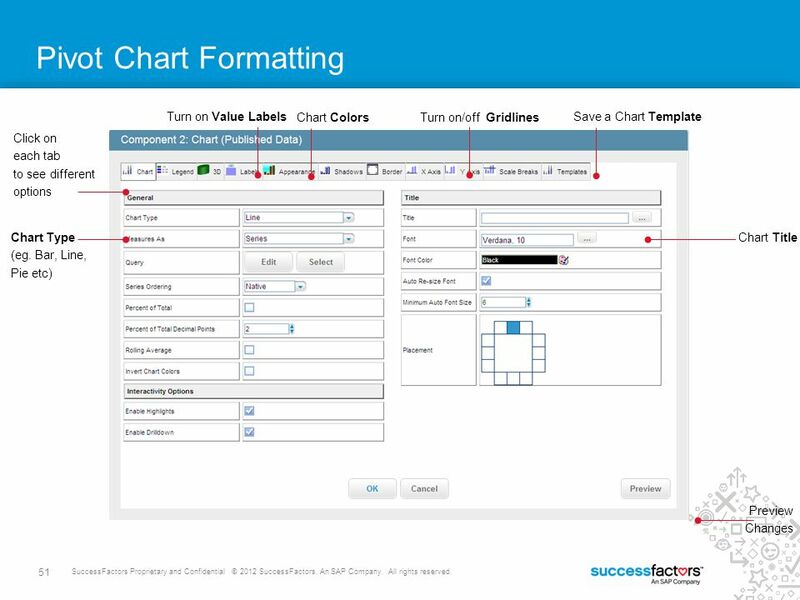 Save a template! 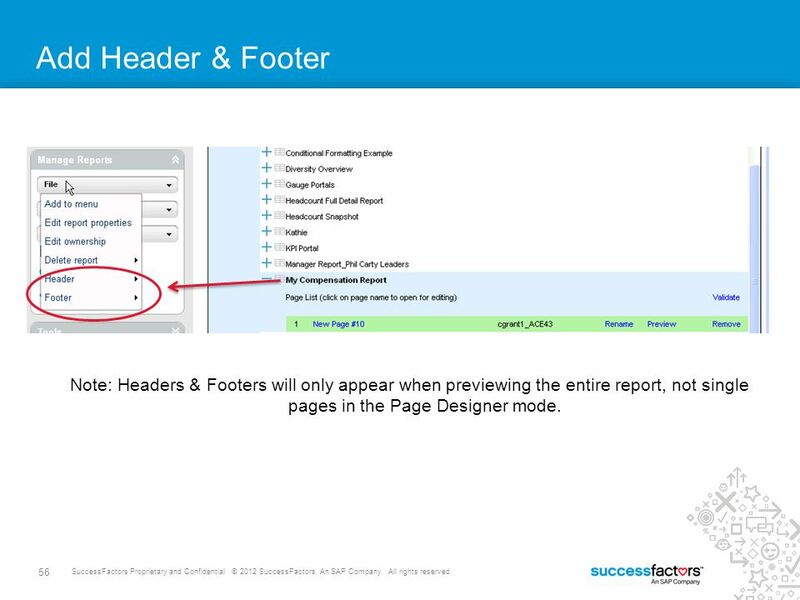 56 Add Header & Footer Note: Headers & Footers will only appear when previewing the entire report, not single pages in the Page Designer mode. 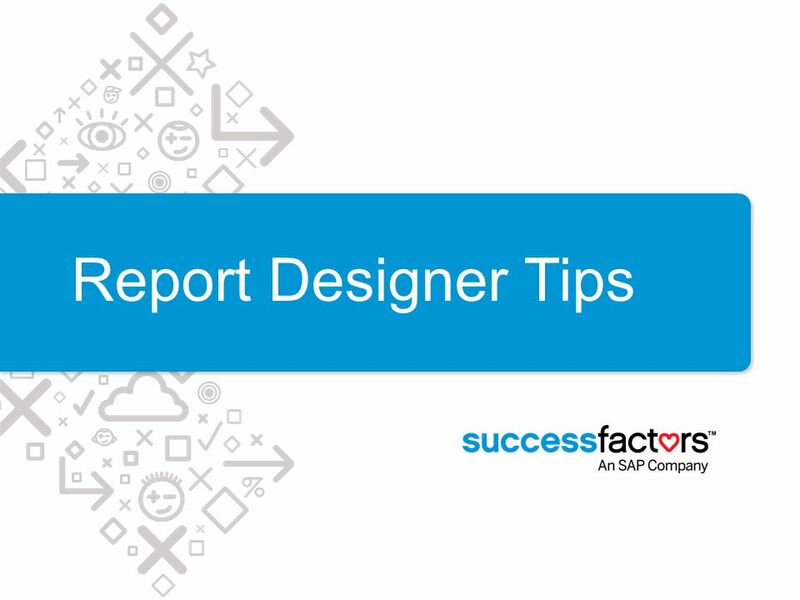 58 Sharing Reports When you are ready to share the report with users who do not have access to Report Designer, add the report to a menu folder. 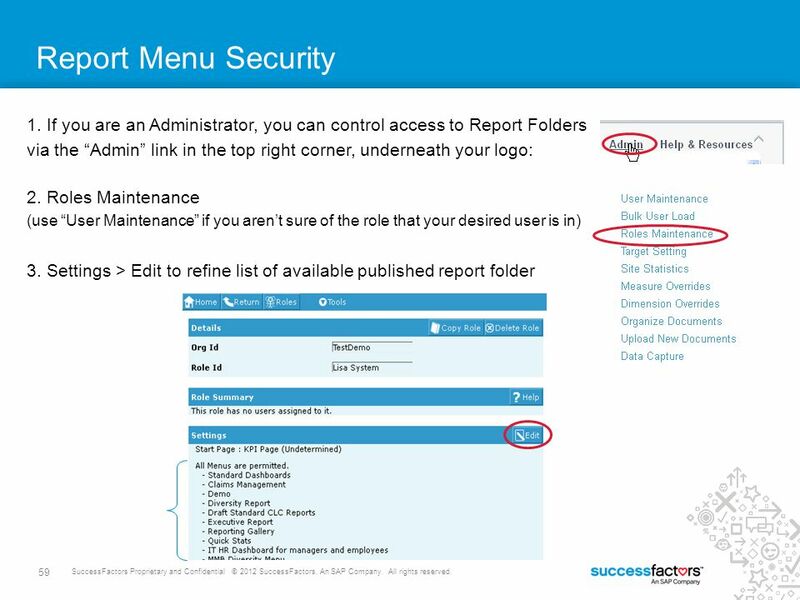 Menus can be controlled by Role Based Security in Admin > Roles Maintenance. 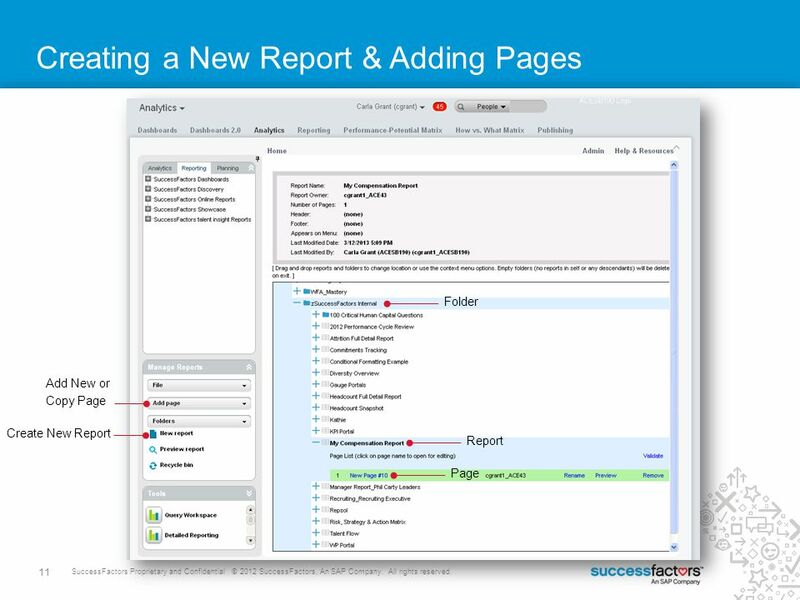 Reports are owned by the user that creates them. 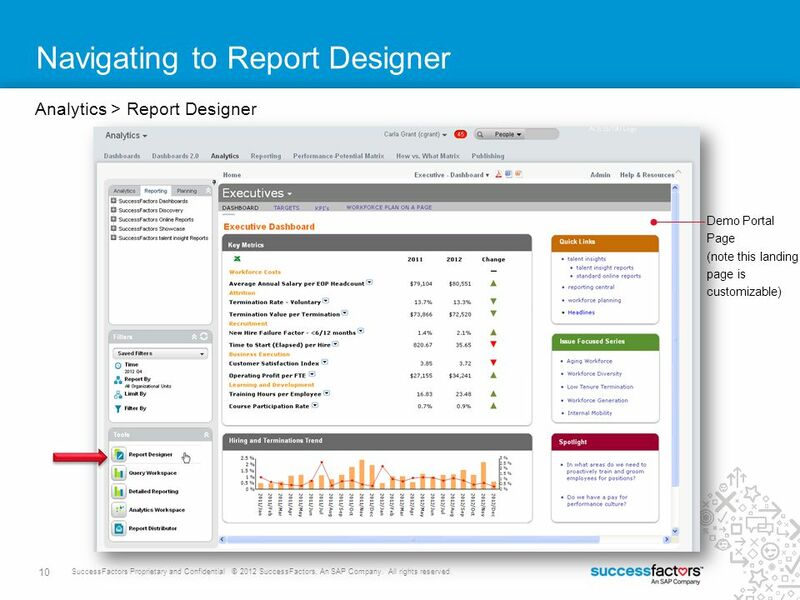 Reports can only be edited by the owner, unless an other user has the “Report Designer Admin” permission. 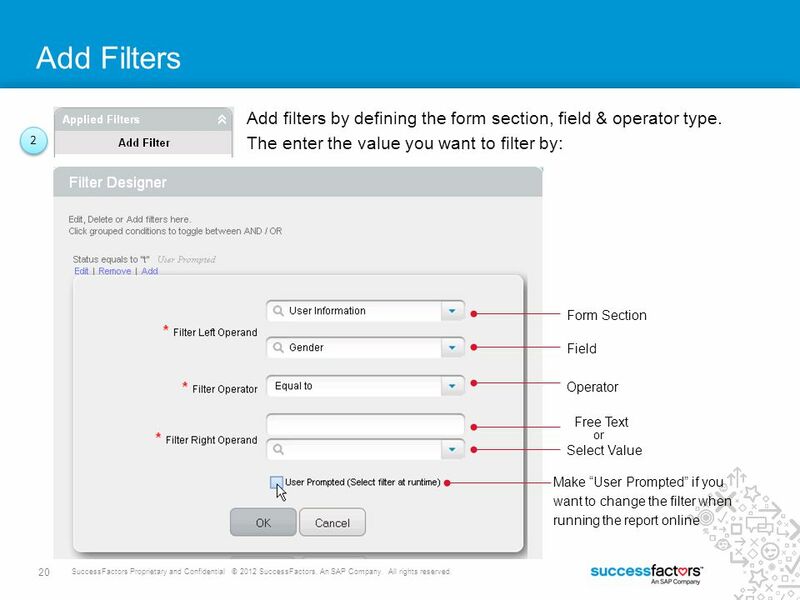 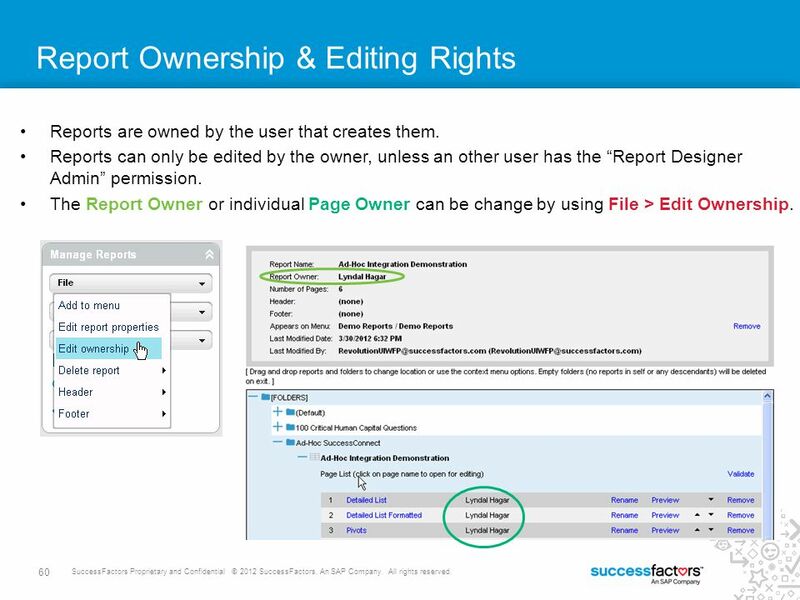 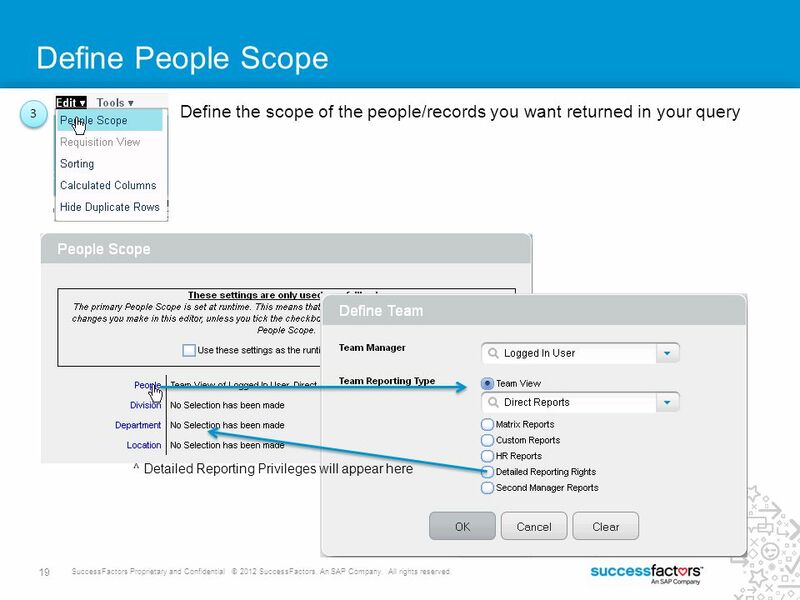 The Report Owner or individual Page Owner can be change by using File > Edit Ownership. 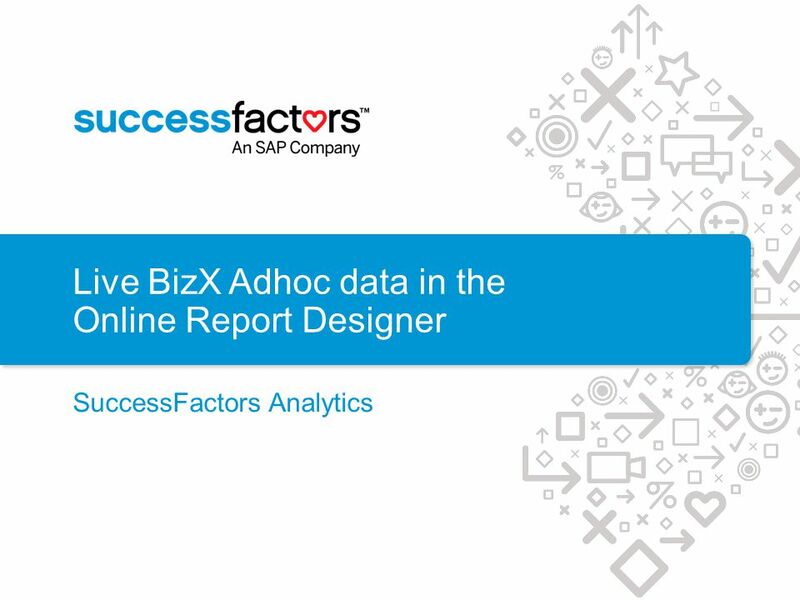 Download ppt "Live BizX Adhoc data in the Online Report Designer"
Project 2: Adding a New Web Page to a Web Site Presentation by: Joseph H. Schuessler, B.B.A., M.B.A., M.S., Ph.D. (ABD) Agenda Video Last Class Front Page. 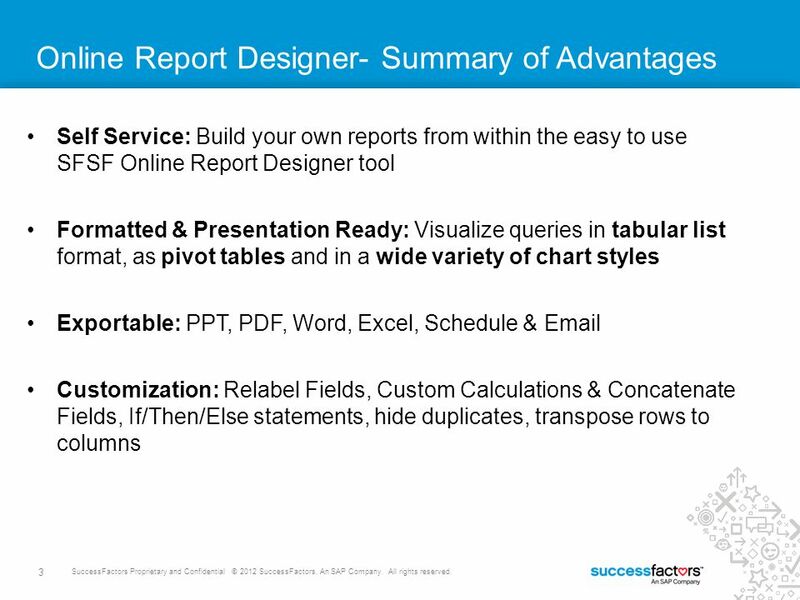 1 All Powder Board and Ski Microsoft Access Workbook Chapter 6: Forms and Reports Jerry Post Copyright © 2007. 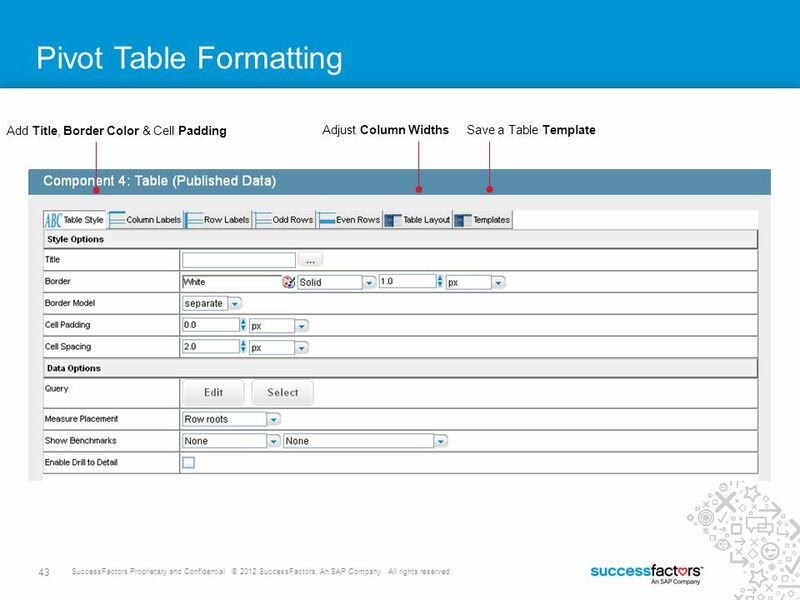 © Paradigm Publishing, Inc. 1. 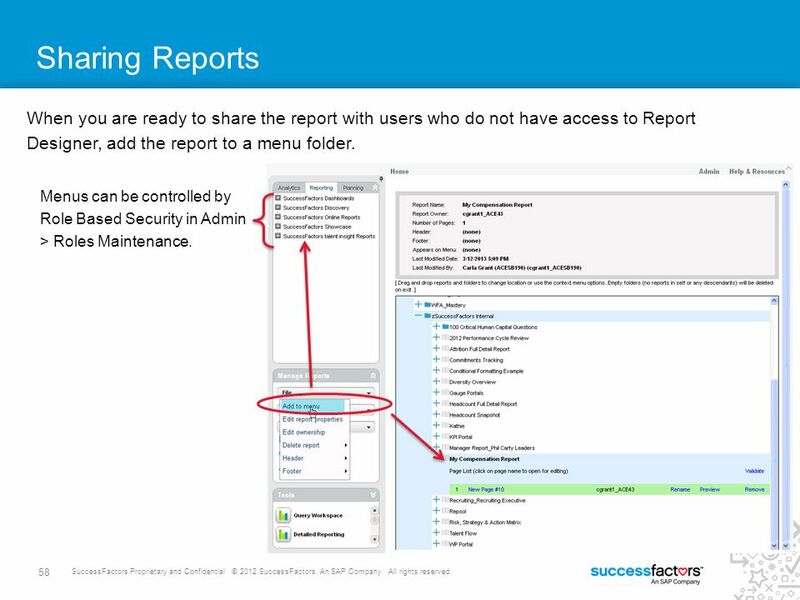 2 Excel 2013 Level 2 Unit 2Managing and Integrating Data and the Excel Environment Chapter 6Protecting and Sharing Workbooks.